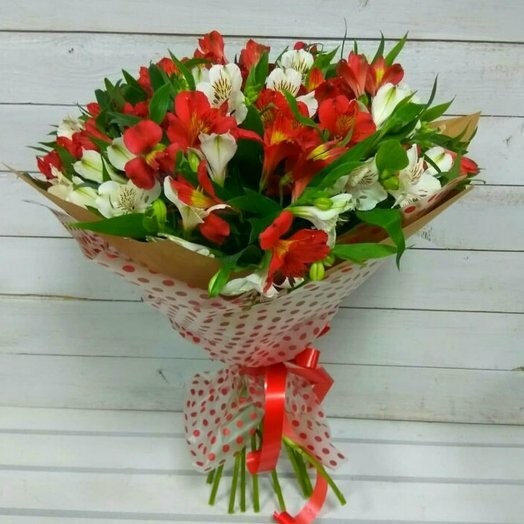 Состав как на фото red-white alstroemeria - 19 шт. Red-and-white mix of pink roses will bring into the life of the recipient a touch of magic and charm of a warm summer sunset. an elegant gift that will long to please the recipient, because the longer Alstroemeria other flowers retain their beauty in a vase!